Ting Archives · Stop the Cap! North Carolina residents bypassed by Google Fiber and impatient waiting for AT&T U-verse with GigaPower may still have a chance to get gigabit fiber Internet. Ting, a Toronto-based wireless provider, is exploring building fiber broadband networks in as many as a half-dozen cities in 2016, and some of them may be in North Carolina. Elliot Noss, CEO of Ting’s parent company, told the Triangle Business Journal he is impressed with the enthusiasm for fiber optic broadband in the state. He recognized Greenlight, Wilson’s community-owned fiber network, as a fiber pioneer that helped fuel demand for better Internet in the state. He added North Carolina is one of the leaders in fiber to the home service in the country, and that makes it a very suitable place to bring even more fiber to the state. The Triangle region of North Carolina is receiving network upgrades from Time Warner Cable and AT&T, and Google Fiber is coming to Charlotte and Raleigh-Durham, but there remains a number of Triangle communities including Clayton, Dunn, Henderson, Louisburg, Norlina, Oxford, Pittsboro, Rocky Mount, Roxboro, Sanford, Selma, Siler City, Smithfield, Tarboro and Wake Forest where fiber networks would be welcomed. 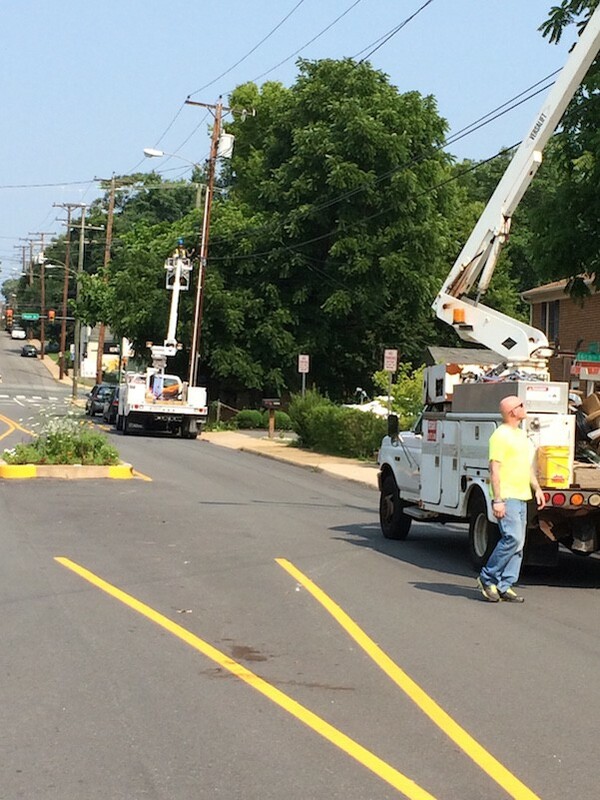 Ting workers installing fiber optics in Charlottesville, Va.
Noss believes fiber begets even more fiber, which may explain why some states are getting huge investments in competing fiber optic projects while others struggle with little or no fiber at all. As soon as a fiber provider enters a region, it creates a higher level of awareness that better Internet service exists when you look beyond “good enough” broadband from phone and cable companies. The resulting “broadband envy” fuels demand for network upgrades. Noss believes smaller, outlying metros bypassed for fiber upgrades now want them more than ever because they are at a competitive disadvantage without better Internet access. So what makes a community ripe for fiber broadband? A community already sold on fiber and willing to make things happen quickly and smoothly. In the past, politicians often treated cable franchise contracts as valuable enough to ask providers for concessions in return for an agreement. Many cities treated Verizon the same way when it sought franchise agreements to offer cable television over its FiOS fiber to the home network. Some city officials sought compensation for PEG services – Public Access, Educational, and Government channels. Others sought funding for technology and educational programs, community centers, or free service for public and government-owned buildings. Google has turned that formula upside down. Today, communities offer concessions to Google competing to be the next fiber city. Other providers entering the fiber market with promises of better Internet are getting a similar reception from eager communities. Charlottesville, Va. and Westminster, Md., neither a likely prospect for Google Fiber or Verizon FiOS did not need any convincing. 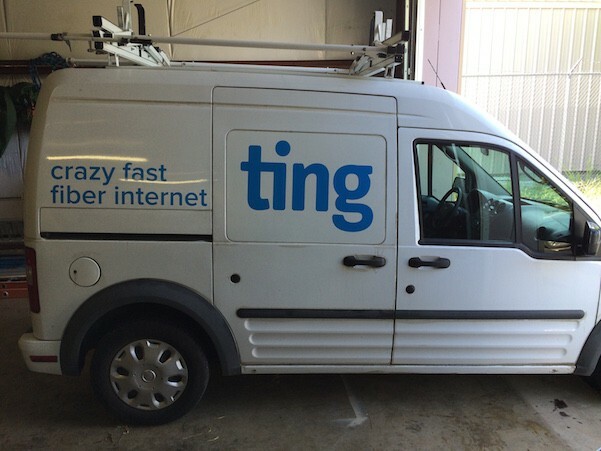 Ting now provides gigabit fiber service in both communities for $89 a month or a cheaper 5/5Mbps budget option for $19 a month — both with a $399 installation fee. Customers cannot wait to sign up for service, often to say goodbye to companies like Comcast or Verizon’s DSL offering. Ting is owned by Tucows, Inc., a provider of network access, domain names, and other Internet services.